This week I carried HB 473 and HB 356 on the floor. HB 356 clarified and updated to law concerning the Duties of the Adjutant General. HB 473 removes the 30 day requirement to be considered "active member" and be covered by the Uniformed Services Employment and Re-employment Rights Act (USERRA) when members of the Air or Army National Guard are called or ordered by the Governor for State active duty. 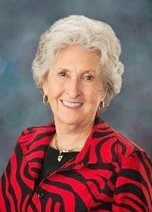 I’m scheduled to present HB 473 in the Senate State Affairs Committee on Monday. I presented HB 499 to the Agriculture Committee and it passed out of the Committee and was sent to the Floor with a “do pass” recommendation. HB 499 deals with food safety and the implementation of the Food Safety Modernization Act (FSMA). Currently, in the absence of other government oversight, food safety activities fall primarily under the jurisdiction of the Idaho Department of Health and Welfare (IDHW). However, for food processors the primary oversight for food safety and inspections falls within the jurisdiction of the federal Food and Drug Administration (FDA), under the authority of the Food Safety and Modernization Act (FSMA). As FSMA implementation proceeds, there is an expectation that the FDA will rely more heavily on the states with respect to food safety inspections. This legislation establishes the Idaho State Department of Agriculture (ISDA) as the delegated state authority for food regulation of any non-retail activities subject to FSMA. 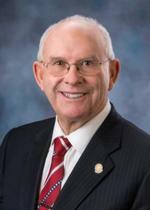 The bill also allows for a process to take place at a later date that would transition the food safety oversight and inspections for food processors from Health & Welfare over to the Idaho State Department of Agriculture. 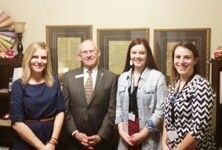 I met and visited with the American Foundation for Suicide Prevention-Idaho. Idaho is consistently among the states with the highest suicide rates, 47% higher than the national average. The Idaho Suicide Prevention Hotline received 4866 calls in 2015. These volunteers are doing amazing work. Idaho Power is celebrating 100 years of service in Idaho and had a great display and history of the Company. Associated Logging Contractors were at the Capitol. There was 1.05 billion bd. ft. of timber harvested in 2015. Each million board feet of timber harvested in Idaho provides 20 jobs (12 in the forest products industry and 8 in support industries), $667,000 in wages and salaries and $3.85 million in sales of goods & services. Today, Idaho’s forests grow more than is harvested. More timber is killed in Idaho’s forests by fire, insects and disease than is harvested. I also met with Community Transportation Assn. 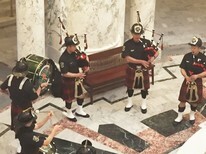 of Idaho, Professional Firefighters of Idaho, Idaho Conservation League, Idaho Trial Lawyers, and Regence Blue Shield. 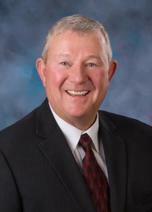 I visited with Senator Crapo at an event in Twin Falls this week. 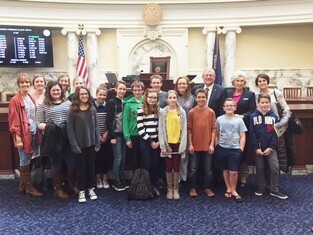 Rep. Kauffman and Rep. Bell meeting with home schooled students and parents from Kimberly, Twin Falls, Buhl and Richfield. 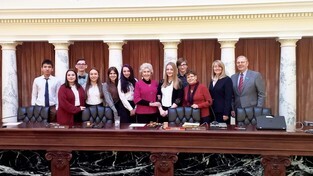 Rep. Bell meets with foreign exchange students. Foreign exchange students visited JFAC this week. It is a real pleasure to get to know them. Their "English" is beautiful, and their questions are a very thoughtful. This group included two students from Moldova, two from Kygyzstan, and four from Ukrain. As the month of February winds down, I am starting the budget setting process to keep the government running in the FY2017 which begins July 1, 2016. We are to the point where the time is past for study and action is the order of the day. The first budgets we set are those to fund the small but important parts of government which have fees to run their activities. In fact some of them make money for the general funds of the state such as the Lottery and the State Liquor Divisions. Those funds are up considerably, a bonus for our schools, because of the increase in liquor sales and the thousands of you who bought an extra lottery tickets in the last power ball craze. Several years ago, the state of Washington stopped state control of their liquor stores. The result was a considerable increase in the sales from those coming into Idaho to make purchases. Another very small budget gives funding to the Lava Hot Springs Pool Complex in Eastern Idaho. This parcel was ceded to the state for the “recreation of the people” by the federal government. It has belonged to an Indian Tribe prior to that time. It is a wonderful place to visit and many of the visitors, like those coming in from Washington State are from out of state also, this time they come from Northern Utah. One of the more unusual items in any budget was in this request. The folks who run the complex wanted to spend some of their funds on a study on the geothermal potential of a place called Chicken Soup Springs. Sounded okay to me. We will complete this week with one of the larger and difficult budgets that of the funding for those among of who are disable, blind, or aged. Medicaid is one of the programs along with food stamps, child care, and some cash assistance that helps about 20th of the population. We partner with the federal government on the funding. Next week the education budgets will roll consuming 65 percent of all state funds. After that it is downhill for the activity in my committee. Probably a good thing, because this coming week is supposed to be warm and sunny and thoughts of Easter and home are around the corner. BOISE -- Cassidy Littleton from Twin Falls is the 2016 Idaho Boys and Girls Club Youth of the Year winner. Selected by a panel of judges that included first lady Lori Otter, 17-year-old Littleton was selected from a group of six finalists chosen from Boys and Girls Clubs around the state. In my Commerce and Human Resource Committee on Tuesday, we supported S1346: Relating to Health Savings Account, presented by Senator Thayn. Idaho has a good track record with these accounts and I invite you to check out this legislation. Click Here to visit the Idaho Health Savings Account Website. In my Senate Education Committee I supported H428: Relating to the College Saving Program: To Revise the Treatment of Unclaimed College Savings Program Accounts. Click Here to visit the Idaho College Savings Program Website. 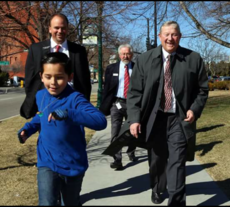 In my Education Committee there was a presentation by the Idaho Public Charter Commission. 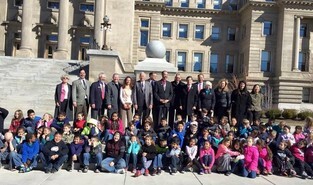 The Public Charter School Commission’s mission is to ensure PCSC-authorized public charter schools’ compliance with Idaho statute, protecting student and public interests by balancing high standards of accountability with respect for the autonomy of public charter schools and implementing best authorizing practices to ensure the excellence of public charter school options available to Idaho families. Click Here for the more information on this commission. I supported S1333: which will provide a Broadband Infrastructure Improvement Grant Fund and S1334: which will provide the Education Opportunity Resource Act and Related Provisions. I also presented S1336: Relating to Education; Provisions to Pupils with an Individualized Education Plan.